Maserati Levante Vulcano is now on sale in Australia, but only seven of the 150 produced for Europe and Asia are coming here. A chromed aluminium badge on the centre console features the legendary Maserati Trident, along with the Vulcano logo and the words “one of 150”. 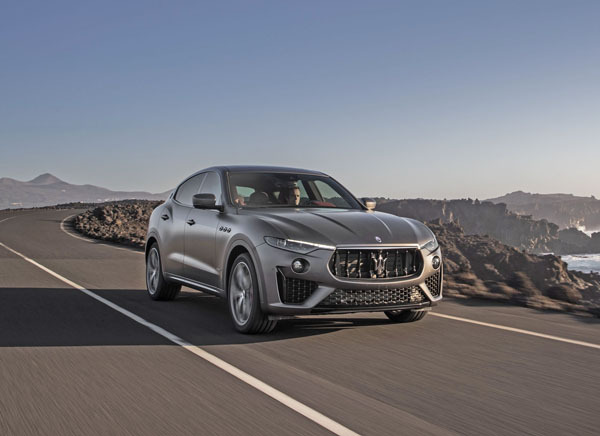 Based on the Levante GranSport, the Vulcano’s exterior features the Nerissimo Collection with dark look rear light clusters, black chrome front grille and logos, gloss black window surrounds, body-coloured door handles and burnished exhaust tailpipes. It rides on 21-inch Helios wheels, with very visible red brake calipers and six-piston Brembo Dual Cast brakes. Inside, Levante Vulcano has heated and ventilated Pieno Fiore leather powered sports seats with contrasting embroidered Trident logo on the headrests. High gloss carbon fibre is used on the sport steering wheel and gearshift paddles. The Vulcano is fitted with the Bowers&Wilkins premium sound system. It is power by a 350 hp twin-turbo V6 engine with 500 Nm of torque 1750 to 4750 rpm. The zero to 100 kmh sprint is listed at just 6.0 seconds. All four wheels are driven by Maserati’s Q4 system with a rear LSD. Its suspension features adjustable air springs and Skyhook shock absorbers. 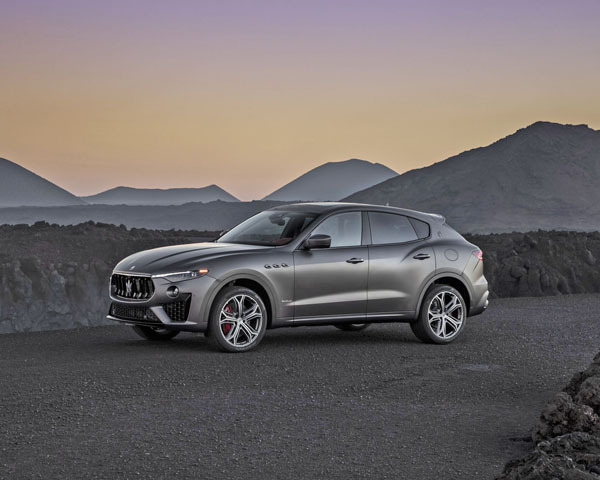 The Maserati Levante Vulcano has a recommended retail price of $184,990 excluding statutory charges, dealer costs and delivery and is now in Maserati dealerships – though may we predict they won’t be there for very long?